Employee performance evaluations are not a new concept and according to a Ms. Jozwiak quoting a U.S. poll from Achievers (consulting firm), 98% of staff considers annual reviews unnecessary. The reasons behind this belief can be many, but it is certain that the way the entire process is designed and managerial attitudes have a huge impact on how employees perceive performance appraisals.Furthermore, even for some managers evaluating employee performance is a useless burden. 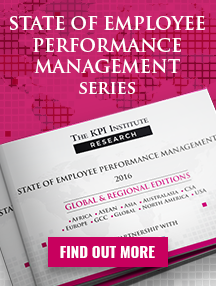 So how can both managers and employees get the most out of individual performance management? The first step is to clarify the organization’s strategy and objectives. In order to ensure that each employee’s effort contributes to what is desired to be achieved at the strategic level, their professional objectives should be aligned to the company’s goals. Individual objectives should be cascaded from departmental or team level and completed by any other specific objectives for their role. Step two refers to planning how the entire process will take place and also deciding upon the performance expectations for each employee. 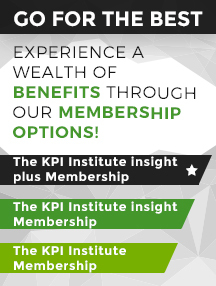 Performance expectations should refer to reaching targets for individual KPIs, improving certain competencies and exhibiting specific desired behaviors. This part of the process involves a lot of decision making that should also take into consideration the employee’s input. The more they feel like they contributed to the system, the easier it would be for them to accept change. 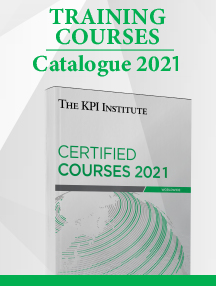 Establishing instruments and templates to be used consists in defining a way of working and standardizing all tools, like individual scorecards, competencies and behavior frameworks, individual performance plans, evaluation forms. Before activating the system it is recommended to organize several workshops to train managers on how to properly utilize these instruments. System activation indicates that individual performance is monitored. In this phase, employees should receive coaching and support from mentors or managers in order to ensure that they will be able to meet their performance targets until the evaluation. Ongoing feedback helps both the managers and employees in this process and is a very useful learning method. Performance evaluations can take place annually, biannually or even monthly if necessary. Based on the results obtained by each employee, several initiatives should be taken – either to improve performance or to keep high performers motivated. At this point professional objectives can be set for the next period, a training schedule for the employee can be discussed and professional aspirations should be discussed also. 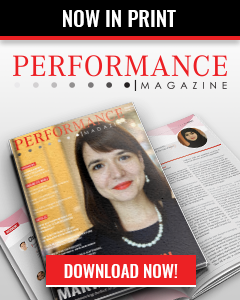 The performance management cycle does not end with performance appraisals, as it is a continuous process that is constantly adjusting and adapting to the organizational context in order to maintain its relevancy. A similar approach to the one presented above can also be found in Elaine Pulakos’s practical guide to develop, implement and evaluate performance management systems, in which there is an important focus on building the process on employee feedback and input. Communicate! Comunicate! Communicate! – It will help gain buy-in from managers and employees, if they are aware of what is happing and understand the benefits of evaluating staff performance. Use a dialog, not a monologue! – The performance evaluation meeting should be an honest and open discussion between the two parties, without judging the person or making performance comparisons between staff. Make sure it is not a „painful visit to the dentist” for the employee. Take action! – If after the performance evaluations nothing happens, performance won’t improve and the process will be just a formal procedure without any concrete results or benefits for the organization, managers or employees. 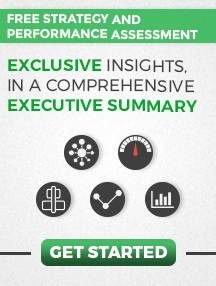 Take the challenge: manage underperformance!